I would like to receive occasional information and updates from Marlborough Tennis Charity Fundraising Auction and jumblebee. 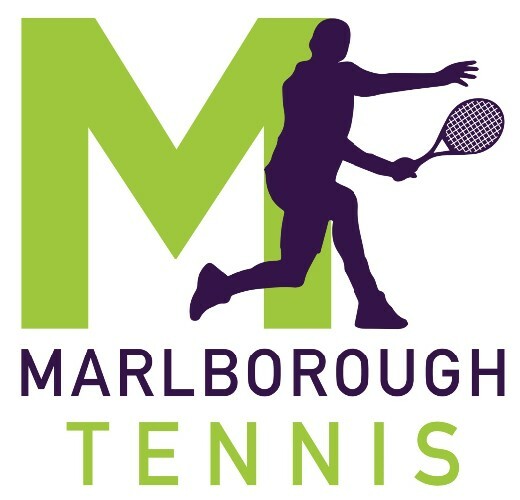 Marlborough Tennis have been searching for a place to call home for many years. At last they now have a site next to Marlborough golf club for six all weather courts. However, the complexity of the build programme has meant deferment of non-essential parts to a later date. The purpose of this silent auction is to help raise funds to enable full completion of the build. We have some fantastic lots on offer. You can bid online on this page from now up until 12 noon on Thursday 26th April. If you are not attending the dinner, but would like to bid on one of the lots, you can do so by bidding now and placing a proxy (maximum) bid on your lot to give yourself the best chance of winning it. Once the online auction has closed, bidding will re-open at the event at approx. 7.30pm on Friday 27th April, and will be available in the venue only. However, the system will continue to bid up for you to your maximum on the night. If you are still the highest bidder at the end of the evening, we will contact you after the event to let you know. Recently renovated detached house above the historic harbour in the beautiful fishing village of St Mawes, Cornwall. A few minutes walk to beaches and shops. 2 double and one twin bedroom, one bathroom and one shower room. Balcony with views over the Percuil River. St Mawes has a fabulous selection of places to eat out including the famous Hotel Tresanton and the smart Idle Rocks Hotel with its waterside terrace. There is also an excellent butcher and freshly landed fish from a stall on the quay. You can abandon the car while on holiday and explore the village, sandy beaches and spectacular coast on foot or by boat, or take ferry trips across to Falmouth or St Anthony headland with its wonderful coastal footpaths. For those a little more adventurous, why not take out a rib from the local sailing school or hire kayaks to explore the Percuil River? Conditions: Available from June 2018-May 2019 excluding school holidays with dates to be agreed with the owners. Sorry, no pets. 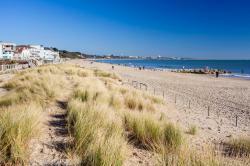 Sandbanks Holiday Home - Sleeps 10! 47 Chaddesley Glen is a large 5 bedroom, 3 bathroom family home in Sandbanks, Dorset with lovely views over Poole Harbour and Brownsea Island. Close to the beach it is a perfect base to spend six days/5 nights at this stylish house any time (subject to availability) between 1 May and 1 October 2018. Three level detached house with lounge/dining area and a large balcony (complete with gas BBQ) . The garage houses a couple of canoes, a windsurfer, body boards and a paddle board to make for a great activity holiday. Life jackets also available! The sea (to the left) and the harbour (to the right) are less than 200m away. The Sandbanks peninsula is only a short walk around the harbour, where you can take the chain ferry across to the Isle of Purbeck and the beautiful beaches of Studland Bay. You are then only a short drive to Corfe Castle and Swanage. Many excellent golf courses are nearby, including Parkstone and Ferndown. There is parking for three cars at the front of the house, and a further space alongside the rear garage. Enjoy a week in a villa on the fabulous Glitter Bay Estate near Holetown on the West Coast of Barbados. 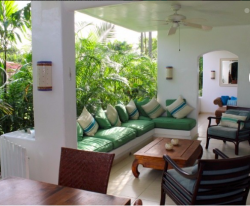 This villa is a 3 bedroom , 3 bathroom property, sleeps 8 and is 20 paces from the beach. Glitter bay Estate occupies a stunning location on one of the best west coast beaches in Barbados. The 7 acre estate is family friendly and has beautiful gardens with tennis courts, swimming pool, bar and full beach service. A full range of water sports are available, including sailing, water-skiing and tuna fishing. The wildlife is wonderful for children and adults alike: you often see monkeys wandering through the gardens, you can swim with turtles every day and sometimes you may spot whales offshore. Some of the best restaurants on the Island are a few minutes walk up the beach. You can spend a week here without putting your shoes on! The villa has maid service and the estate has a full concierge. Your chance to release the inner James Hunt or Penelope Pitstop! You’ll be collected from the Marlborough area for a day of driving at a race track, with a racing driver alongside, in a supercharged MX5. The driving can be shared between 2 people. It will be a tremendous day of fun and a real adrenalin rush as you drive alongside a huge range of other supercars. It’s not a racing session. A full safety briefing and all necessary equipment is supplied. It’s a full day, with a very early start, at a track to suit the mutually agreed date. However, we have the opportunity to race at RAF Lyneham, on 16th June which is one of the latest additions to the calendar, should that be acceptable. Meals and refreshment are included. Full driving licence required and reasonable eyesight will help. The racing driver is NOT a qualified instructor. There are many tracks to choose from, but depending on ability, some may be excluded. Karen is a local jeweller with a studio and workshop in Marlborough. She takes commissions and also sells through Etsy and Not on the High Street all over the world. Local customers often like to take a family heirloom or unwanted pieces and have them remade for a new generation or a special occasion. This voucher can be used towards a commission or to purchase a piece from her collection. Karen has been making and designing jewellery for well over twenty years. With a degree in Jewellery from Middlesex University she went on to work in London for companies such as Cox and Power and for fashion designers Ben de Lisi and David Fielden. Karen sold collections to Barneys, New York and Paul Smith and supplied work to Liberty, London for over ten years. Everything in the online shops are made by Karen in her workshop, so she can make special orders with ease. If you want to discuss a particular project and get a quote, Karen can be contacted on 07779 300129. Go Hen is a property rental company which specialises in large houses, sleeping lots of people which are suitable for parties of people travelling together, who don't mind multiple beds in a room. 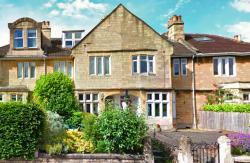 The idea is to enjoy the city of Bath in the company of up to 18 bosom buddies. The Crescent Gardens property puts you just a few minutes' walk from the city centre and the buzzing clubs, bars and restaurants Bath is famed for. Thermae Bath Spa is within easy reach. Inside the property you'll find stylish decor and a bright, spacious living room with TV and DVD player perfect for relaxing and free WiFi throughout the house. This beautiful terraced house really is the ideal starting point for your special weekend in the South West's No1 party destination. Available for one night, subject to availability. To be taken within 18 months (by October 2019) - so you can plan ahead! Marlborough Fitness and Performance Centre is based on the A4, between Manton and Clatford. Steven York, the owner, is passionate about resistance training as a path to long term muscle strength. This can support people in their aims for a variety of sports and also age proof the body. Steve is generously offering a three month membership for a couple (worth £165) to this top gym. Alix Barbier is a personal trainer, who is offering 8 hour long personal training sessions (worth £240) to work on your own fitness goals and embed a safe and rewarding gym habit at MFPC. Alix can help you with fat loss, building muscle mass and safely working around injury. Personal sessions can be arranged to suit your availability, seven days a week. Two return tickets to Paris on Eurostar leaving from St Pancras Station in London and arriving at the Gard du Nord in Paris. 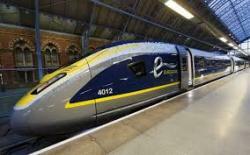 After a quick 30-minute check-in at St Pancras International, you’ll be on your way to Paris in style. With lots of legroom and space to unwind, Eurostar seats are designed for a comfier journey, while the two-bag luggage allowance means you needn’t hold back on the packing. So sit back, relax and let Eurostar whisk you to the centre of Paris in just 2 hours 15 minutes. Footnote: (This prize is actually the value of 2000 points with Eurostar and can be used for a wide range of things - two return tickets for a weekend in June is the example explored here). The Barn at Holly Lodge in West Overton is an immaculate and stylish one bedroom self contained property, perfectly positioned for exploring the Wiltshire countryside or visiting relatives. Nick and Rachel rent the barn out through Airbnb and regularly host visitors from all over the world. 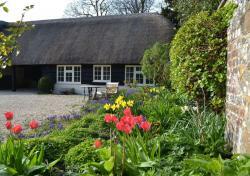 They are offering the Barn for two consecutive nights including a champagne welcome hamper. For full details, refer to the Airbnb listing which gives many photos and glowing reviews. The property is offered subject to availability. Come and see Dr Alison Brooks at Mirabel Clinic, Old Town, Wood St, Swindon for an initial consultation to discuss what treatment would be most beneficial for you - dermal fillers or Botox and receive either treatment to the value of £350. Mirabel Clinic specialises in a wide range of non-surgical treatments which aim to help restore, enhance & maintain naturally youthful looks. Mirabel Clinic is a private clinic established in 2006 specialising in cosmetic dermatology, skin rejuvenation techniques, wrinkle relaxing injections, dermal filler injections, IPL and laser treatments. These treatments help with acne, hair removal, wrinkles, age spots and facial blemishes. Mirabel’s aim is to provide the highest quality of care using the latest and best research, making use of information and technology gleaned from the international cosmetic medicine community. Dr Brooks has years of experience treating fine lines and wrinkles and using IPL for hair removal and tattoo removal. Many clients have found wrinkle relaxing injections and dermal fillers useful in diminishing facial wrinkles and fine lines. 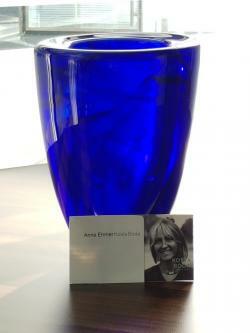 This beautiful glass vase displays a unique work of art which can be used everyday. Designed by Anna Ehrner in Sweden, this vase features hand-applied decorations of swirls of contrasting calligraphic lines. The pure forms are crystal arenas for the drama of free-flowing patterns that bring out the inner nature of the glass, making every piece unique. The dramatic new lines of colour are well suited to a range of interiors and will make a wonderful gift too. 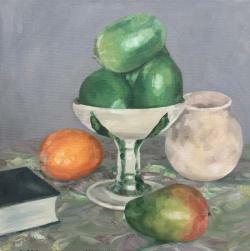 Clare Ashford is renowned for her still life paintings which regularly sell for over £300. Recently based back in London, Clare has lived overseas for 30 years. Before taking up painting full time she worked in fashion design in both London and Hong Kong. Although largely self-developed as an artist, Clare has studied both Chinese and Western watercolour painting. This technical background has provided her with the inspiration to experiment with a variety of painting media and subject matter, more recently concentrating on oils on a canvas support. Clare has participated in several group and solo exhibitions in Asia and Europe over the past decade, and her work is collected by clients across the world. 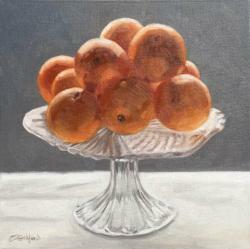 This painting can be viewed before 27 April at Nick and Rachel Fisk's house, Holly Lodge, West Overton tel. 01672 861469. Ben Amor, talented local golfer playing on the European Tour is delighted to play a round of golf at Castle Coombe Club with up to four players. Try out your skills against one of the best! Ben turned pro in 2017. Runner-up in the Darwin Salver 2015. Ben had a great season in 2013 with the highlight being a win in the Carris Trophy at the West Lancashire Golf Club in July. Ben also had a number of top ten finishes which include the England Golf South West Group Boys Qualifying and Championship, the Canadian International Junior Challenge and the McEvoy Trophy. 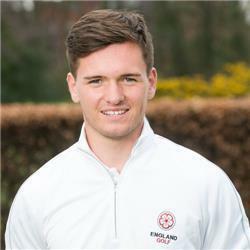 He was part of the winning team in the Costa Ballena Quadrangular match in 2014.Winner of the Carris Trophy, 4th in the Canadian International Junior Challenge and second in the England Golf South West Group Boys Qualifying and Championship all in 2013. Simon Amor, golf professional at Marlborough Golf Club, is offering six golf lessons at Marlborough Golf Club. An ideal opportunity for those wanting to get into golf or for those whose game needs a bit of care and attention! Lessons can be taken as 6 half hour lessons for an individual, or 3 one hour lessons for a group of up to 5 people. To be redeemed by 31 July 2018. Izzy Melhuish graduated from Brighton University after gaining her degree in Illustration. 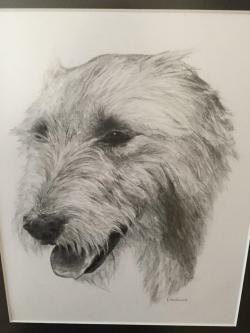 She has undertaken commissions for many clients including Hackett men’s wear, Pepe Jeans and Marlborough College Summer School, as well many animal portrait commissions. They are drawn from photographs in pencil on A3 grained paper ready for framing. She has a great talent for capturing character and detail. With a chance to see the rising stars in dance theatre, Ballet Central returns with a brand new programme showcasing the best in international dance. Under the artistic direction of Christopher Marney, these young dancers on the cusp of their professional careers perform a mixed bill featuring works by world-renowned choreographers. Matthew Bourne of New Adventures honours us with the FairiesPrologue from his gothic-reworking of Sleeping Beauty and we are thrilled to announce that, for the first time, Ballet Central will present an excerpt from Far by multi award-winning choreographer and director Wayne McGregor. After the success of last year's Romeo & Juliet, choreographer Jenna Lee returns to Ballet Central with her brand new creation Black Swan, a dark twist on the iconic classic. To celebrate the life and work of Kenneth MacMillan we introduce an excerpt from his rarely-seen 1983 ballet Valley of Shadows inspired by Georgio Bassani’s haunting novel The Garden of the Finzi-Continis. To close this year's performance Christopher Marney will revive scenes from Christopher Gable’s Cinderella on the 25th anniversary of its creation. Set to an acclaimed score by Ballet Central's resident composer Philip Feeney, this is a timeless version of a much-loved fairy tale. Two tickets to see Wales vs South Africa at the Principality Stadium in Cardiff on Saturday 24 November 2018. The seats are on the half way line, just behind the commentary box, offering the best views in the stadium. 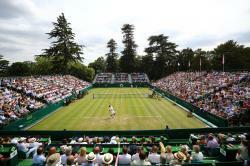 The Boodles is a mens international five-day tennis exhibition held at Stoke Park in Buckinghamshire. It is a grass court venue used in the run up to Wimbledon. Juan del Potro will be there, along with Zverez and many others. It is an intimate environment with a garden party feel. Access to the Garden Bar, where lunch and afternoon tea will be available to purchase. Gates open at 11.30. The first match is scheduled to commence at 12.30. Elegant, tranquil and immaculately kept, the grounds of Stoke Park provide the perfect setting the The Boodles and only 35 minutes from central London, 18 minutes by train from Paddington, seven miles from Heathrow. A private one hour clay pigeon shooting lesson for two people adults, including 25 clays and cartridges each, at Barbury Shooting School. Three months membership, worth £135 (£45 a month) to Marlborough Leisure Centre, which allows the winning bidder full use of all the activities on offer including swimming, gym and all classes. A fabulous three course meal for two at The Bell at West Overton, including a bottle of house wine. A great opportunity to eat at a well known local restaurant and pub. 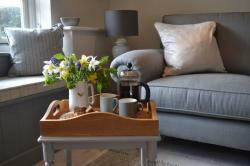 The Bell is run by husband and wife team Andrew and Hannah McNaughton who, with 15 years experience of running pubs together have found their dream home and business in the heart of the historic Wiltshire countryside. Head chef, Andrew McNaughton's love of food has taken him around the globe, cooking at some of the world's most respected restaurants, with time spent in Harvey Nichols 5th Floor Restaurant in Knightsbridge, fine dining at OXO Tower and Neil Perry's Rockpool in Sydney. 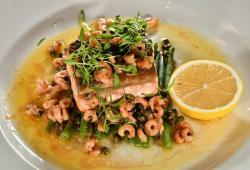 Andrew takes all these influences and lets them shine through in the freshly prepared dishes on the menu at The Bell. Meal must be booked in advance (mention the voucher when booking) and taken before 31 July 2018. Valid Tuesday to Sunday. 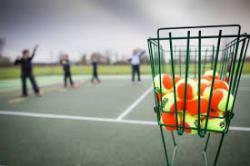 Six lessons with a local coach at the new courts in Marlborough! This could be taken either by an individual or as a group. Dates and times to be agreed. Haine & Smith, opticians in Marlborough, have kindly donated a pair of designer sunglasses by Cocoa Mint which are very cool! Cocoa Mint is an award-winning British designer brand with a stunning range of frames to suit every face shape. Their clever designs are created to be both on-trend and sophisticated, whilst also boasting high quality craftsmanship. Included in this lot is a free eye test at Haine and Smith in Marlborough. 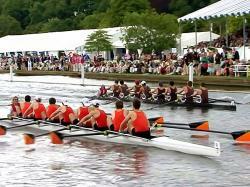 Two tickets for the first day of the Henley Regatta. Enjoy a day in the Stewards' Enclosure at Henley Royal Regatta on Thursday 5 July 2018. The Stewards' Enclosure, which is ideally situated near the Finish Line, is normally only open to Members and their Guests and there is currently a 10 year waiting time for new members. This is a unique opportunity for you to be part of this wonderful English tradition. A voucher to the value of £200, to spend on any Marlborough Summer School Course in 2018. This year Summer School has been expanded to cover four weeks with many new courses. So much to choose from. GS Aviation, based at Clench, are offering a 30 minute flight over Marlborough and the surrounding villages. GS Aviation are a UK based microlight flight training organisation operating throughout the year at Clench Common Airfield in Wiltshire. Located near Marlborough, just south of Swindon. Easy travel from Reading, Bristol, Newbury, Hungerford, Oxford, Salisbury and Bath. Only 90 minutes from London. One for the kids, grandkids, or kid at heart! 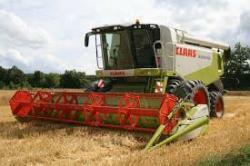 Ever wanted to try your hand driving a 'state of the art' combine harvester? Chris Musgrave manages several estates up on the Marlborough Downs and you can get some of the best views from the cab of a combine. Experience the country life during harvest and come and learn about our land and wildlife at the same time. Bring up to five of your friends and family for an entertaining guided two hour tour of the local flora and fauna, focussing g on different types of trees. Sean Dempster will bring to life the Marlborough College Nature Trail, and offer an inciteful commentary on the obvious and not so obvious life around us. Bring binoculars if you have them. 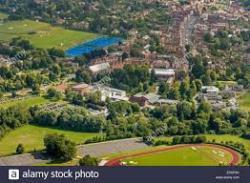 Marlborough College's Nature Trail was established by Sean and covers many different habitats including trout ponds, the river Kennet, the wetlands of the water meadows, semi ancient oak woodland and wildflower-rich chalk downland. Sean studied Zoology at Trinity College, Dublin. He taught at Marlborough College for 23 years. During his time he was Head of Biology and a House Master. For all those Rugby fans out there, Nigel Owens has personally signed a copy of his autobiography - makes a great gift. Nigel Owens is one of the best referees in world rugby. But before reaching the highest echelons of the game, he went through a personal crisis and ""came out"" as gay - the first to do so in the macho world of professional rugby. His bravery earned him great respect from players, officials and supporters alike. In this warm, funny and painfully honest autobiography, he speaks frankly about his struggle to accept himself for who he was, leading to attempted suicide, bulimia and steroid addiction. Owens also recounts many amusing incidents from rugby matches, foreign trips and his off-field career as an entertainer. 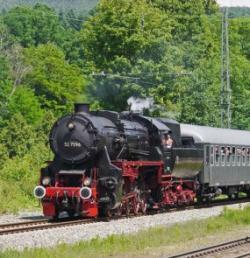 A day out on The Cathedrals Express is one to be remembered. The vintage carriages, the sound of the engine’s whistle and the smoke drifting past the window evoke memories of a bygone age of steam train travel. This voucher to the value of £100, allows you to book a unique experience on a train this summer. Great for a birthday or anniversary celebration! Whiter teeth in four weeks! Want to dazzle at a summer wedding? 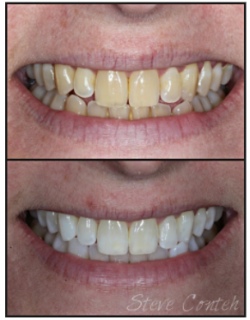 Savernake Dental are offering a course of teeth whitening, which normally costs between £300 and £400. Savernake Dental are based at the Marlborough Business Park, Salisbury Road. Contact 01672 512418 for details or look at the website. A unique opportunity to fish for a day at Marlborough College's beautiful and well stocked trout lakes and chalk stream. This is not usually open to the general public. Valid for two rods for one day. To be arranged with the College. 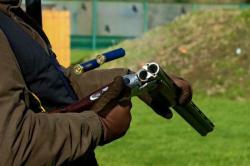 The Defence Academy Clay Target Club is based at Shrivenham inside the Defence Academy of the United Kingdom. 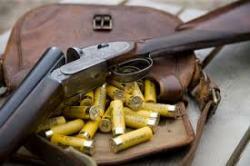 The Club is offering the chance for four people to use club guns, including 25 cartridges with instruction and supervision by Peter Sharpe. Session (approximately 2 hours) to take place on a Sunday in May, June or July 2018. There is an option to buy a further 25 clays per person. 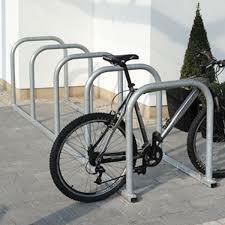 The new tennis courts by the Golf Club will have separate parking and cycle racks available. £70 buys one cycle rack, and is a great way to contribute to the development of the parking facilities if you would like to make a specific donation.